“Prophecy Of The Blind,” starts off The Return with some fascinating oriental instrumentation and melodies, creating the sense that we as listeners are about to be treated to the Opus of the Great Khan. 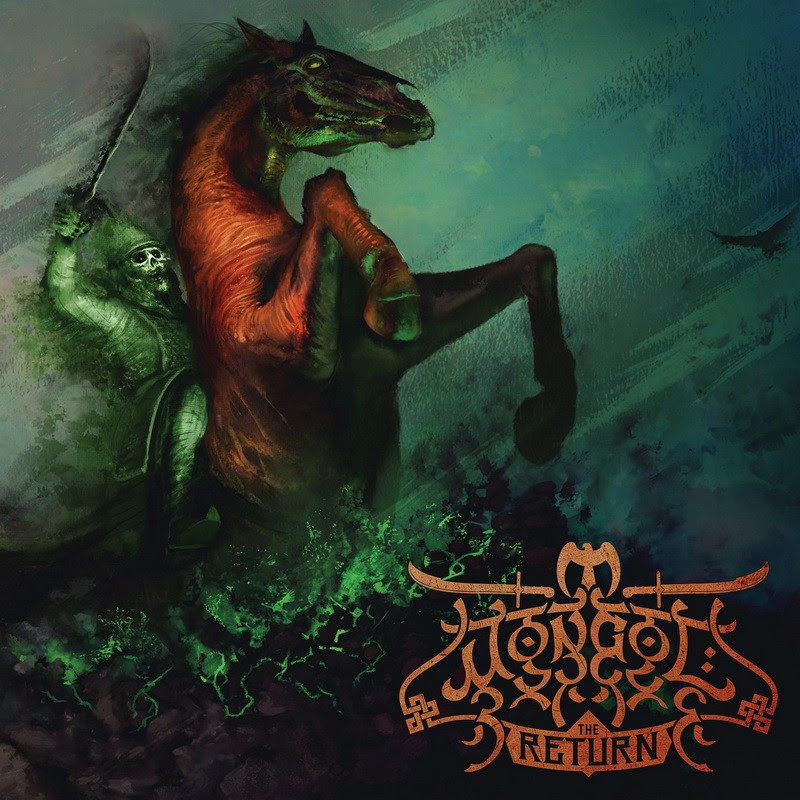 “The Return,” title track of the album kicks in with a head bang worthy riff whilst slowly dancing around the seems, the instrumentation is on point. The vocals snarl into life with brutal efficiency and ensure that the listener is hooked from the get. “Sacrificial Rites,” another instrumental number that builds the heat up as it slowly progresses down the track. “Takhil,” a snarling monster that creates brutal melodies and builds up on the heat. “Amongst The Dead,” snarls to life, with efficiency and dances along the ground, bringing heat and energy, whilst also filling its way down. “To The Wind,” another song that comes in with the perfect melodies, then moves into absolute epic territory. The guitars lead that charge, galloping into absolute bedlam, whilst the vocals snarl and bite with efficiency. “Dschingis Khan,” comes to life with a flourish, oohing and aahing. A great dancing rhythm, and a great sing along is promised when this is performed live. “The Mountain Weeps,” another song that ventures between extremes, the melodies drive themselves with great form, whilst the vocals bite and snarl. “River Child,” another great song, merging musical components together, and slowly edging toward the formation of damnation. An absolute belter. “Warband,” an epic closer. Filled with soaring melodies and riffs, dancing grooves, biting snakes, and a forge filled with fire. A fitting closer, and one that reflects the spirit of this entire album. The Return is out on October 5th via Sliptrick Records. Starting with a haunting melody, Prophecy of the Blind promises to deliver a thunderous performance. It delivers a powerful and ethereal musical instrumentation whilst the vocals deliver some interesting anger and grit. The single is out now via Sliptrick Records.